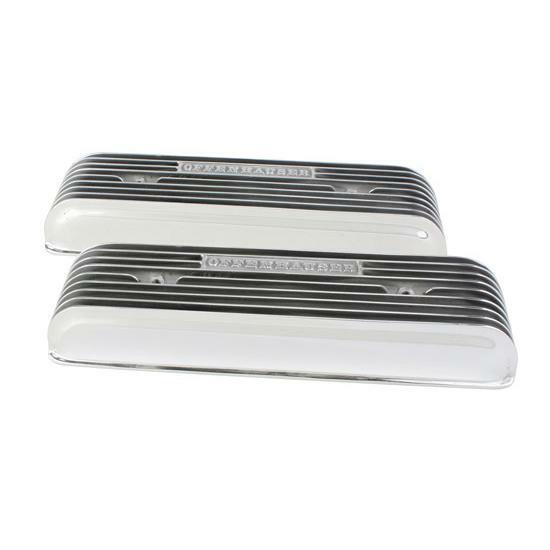 Classic Offy finned valve covers for your Olds "Rocket". Fully polished, rugged cast aluminum design provides a better seal while reducing noise and dissipating heat versus stock valve covers. No provisions for breather/oil fill tube. Fits 1949-1956 Oldsmobile 303 and 324 V-8 engines.